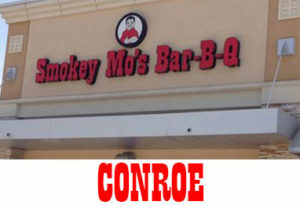 Looking for great BBQ in Conroe? Drop by Smokey Mo’s Bar-B-Q near I-45 & FM 3083. It’s a friendly atmosphere and of course mouth watering bbq available for dining in, carry out or even BBQ Catering! Some call me “Flomatic” and I like it! I have 3 boys (31, 19 & 17) and 2 wonderful grandchildren. 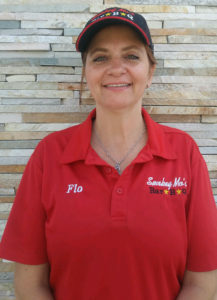 My career with Smokey Mo’s BBQ started 11 years but in the restaurant business for the past 30 years and I truly love my work. For fun…I love to dance, dance, dance. Most of the time I am outdoors either mowing my grass or working with my rescue horse. I enjoy my family and friends and the time we get to spend together.